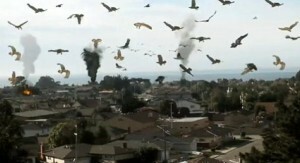 Cult Film, “Birdemic: Shock and Terror” Will Be Released on Bluray With Tons of Extras!!! The ultra low budget film that attained cult status almost immediately is set to be released on February 22nd. It is known as “Birdemic: Shock & Terror. It will be released in hi-def and will be loaded with extras. 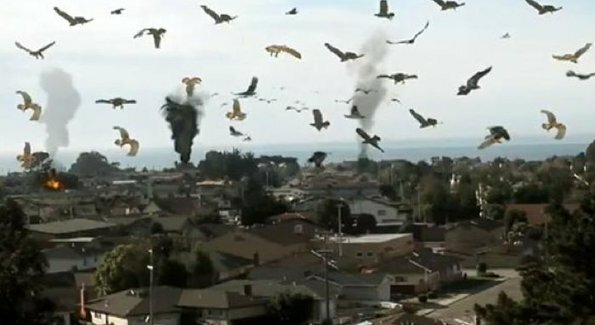 This movie is a ripoff of Alfred Hitchcock’s “The Birds” and was produced for only $10,000. It was written and directed by James Nguyen. Extras will include: Audio commentary with Director James Nguyen; Audio commentary with Stars Alan Bagh and Whitney Moore; Deleted scenes; Birdemic Experience Tour featurette; James Nguyen on “Movie Close Up”; Moviehead: The James Nguyen Story teaser; and Birdemic Experience 2010 trailer. Here is the trailer for the film which should definitely make you want to purchase the film and have your friends over and watch this at midnight with tons of beer and food. You can pre-order the film below by clinking the picture link. This entry was posted on Thursday, January 27th, 2011 at 12:05 pm	and is filed under Film. You can follow any responses to this entry through the RSS 2.0 feed. You can skip to the end and leave a response. Pinging is currently not allowed. « Vintage Games are Coming To Facebook!!! Find Out Which Ones!!! You guys look great in black, have I told you that?